A personal injury attorney is often asked for help with injury claims after a traffic stop involving drunk or drugged driving. National statistics indicate that this type of impairment results in car crashes more often at night than during the day. On weekends, fatal crashes are more often related to drunk or drugged driving than other types of traffic accidents. Statistics on this subject indicate that more than thirty percent of drivers involved in serious traffic incidents are alcohol impaired. Sadly, drunk driving is a national epidemic. A motor vehicle crash involving an impaired driver and injuries typically leads to a personal injury claim handled by a personal injury lawyer. A personal injury lawyer can help determine liability in a motor vehicle accident or wreck case, based on available information and evidence. Sometimes the attorney will use the services of an accident reconstructionist. Who is at fault needs to be quickly assessed in order to meet specific statute of limitations rules that apply in each jurisdiction. The proper and full amount of damages incurred by an injured party must be determined as part of any insurance claim filed with the at-fault driver’s liability insurance carrier or in any lawsuit filed in court. An experienced personal injury attorney is trained to build and document a case for damages. The amount of compensation paid to the victim of motor vehicle negligence varies with the unique circumstances of each situation. Remember, just as no two people are exactly alike no two cases are either. 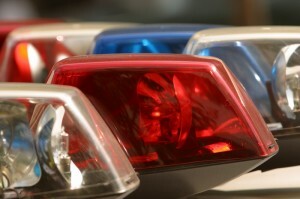 In most vehicle wreck cases, there will be an accident or incident report prepared by a police officer, indicating who the officer believes to be at fault and if that person has been charged with a traffic offense. However, in most cases the criminal charge is not admissible in a personal injury lawsuit, which is a civil matter. Some jurisdictions, such as Georgia, have modified comparative negligence laws that may be applied. This means that each party to a motor vehicle incident may be assessed a percentage of fault. The amount of fault assessed by an automobile insurance carrier or jury is adjusted according to the evidence, and determines the amount of damages each party might be responsible for. Atlanta personal injury attorneys Brownstein & Nguyen are experienced in handling serious personal injury claims following impaired driving crashes. Driving while intoxicated or impaired is illegal, and drunk and drugged driving can carry severe consequences including felony criminal charges depending on the injuries caused. At Brownstein & Nguyen, we hope that all drivers (and passengers) drive and ride safe this holiday season!